TOMOSON is a service for bloggers to find interested products for review. It give products away to bloggers and helps people in your target market and create a word of mouth buzz using your social networking sites. In all TOMOSON is here to help you with your traffic and marketing stats. Why does it's hard to get reviews from TOMOSON? Tomoson is not strict in choosing what blog do you have, even if you are in a blogspot.com domain, still they accept it. What they need is the quality of the blog. As I said anyone can apply, it's really up to you to choose what product you're going to review and wait patiently for the advertiser to pick your site. In reviewing, you have to be honest and a little bit of criticism or suggestion is accepted, to help product to sound better and by that they can improve more. And for the bloggers in order to have a nice rating after. Once a review is complete, the promoters will give a review and give will give you a rating score by means of a star rating, 5-star rating is the highest points. If you take all of this guidance I have shared with you, you will have the easiest way to start a product review from Tomoson. Received an email from TOMOSON, saying that they recently changed their policy in order to pay bloggers to get paid for their posts. I've been with Tomoson for almost two years now, and honestly I only have two product reviews from them. This update they've made will surely help me with my ability in doing reviews now that they will pay bloggers for each post. After getting all the sense on how the system works, in my next reviews I will definitely make a quality blog reviews to the product I will choose. All authors(bloggers) will be payed via PAYPAL. So make sure once you've sign up with Tomoson you have an updated Paypal email address in your account. And when the business is creating a promotion they can allow paid authors to apply the promotion. 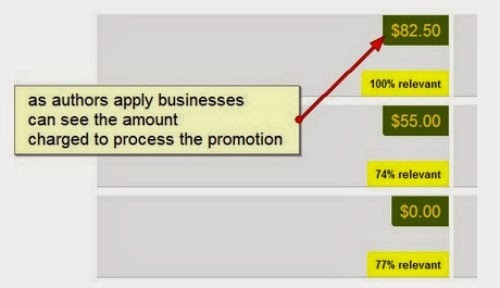 You will see a $ sign by the promotion. You will see a $ sign by the promotion. If authors apply they will be able to enter their desired amount they want to charge for the required tasks. Within that point, the businesses(advertisers & sponsors) will be able to know the amount charged whether to approve or deny the bloggers(authors). 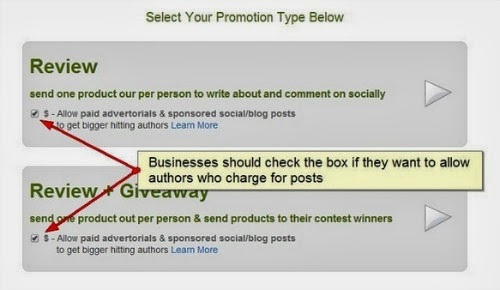 If a blogger(author) is charging for a promotion and they are approved, the business will need to deposit funds in a neutral third party account where it will be held until the tasks are verified. IMPORTANT: Make sure that you complete the tasks according to the requirements set by the business to ensure you are payed. Once the funds are deposited the blogger will get their normal approval email and the $ in their reviews will change colors. Finishing the tasks means money within 7 days the business will release funds to the blogger. If the business doesn't approve the tasks within 7 days of verification. The funds will be released automatically to the bloggers. And Tomoson will surely review your posts to ensure that you've followed what the company(business) asked for. They will not allow copy paste reviews, fake pictures, or videos posted socially. So if you want product reviews and at the same time earn from it, visit TOMOSON now. Wow! This is a cool idea especially sincea lot of bloggers are into reviewing stuff! This is very good income builder for bloggers who want a review job. I'll try to visit this site. Thanks for posting. I think I signed up for Tomoson some years back but never got a chance to review a product.. Thanks for sharing another way to get reviews as a blogger! This is Jeff from Tomoson.com. First, thanks for reviewing our new service. Second, I wanted to get your opinion (and your viewers) on accepting all bloggers vs. limiting who can sign up. Our goal is to allow businesses to choose who they choose to send products to. We allow them to set their own traffic/social requirements. We also recently launched Tomoson Relevancy Rank. With Relevancy Rank businesses can see bloggers that relate to their niche. They can also use Tomoson Rank to see bloggers that are the most influential. What do you think is better, Tomoson giving the businesses the tools to pick & choose low/medium/high quality bloggers that match their demographics, or limiting the bloggers that come in the system and basically making the decision for the business? Thanks so much for visiting my site. I am really glad that Tomoson is making way to help us bloggers to boost page views and increase our rankings. 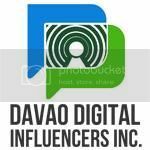 By reaching out to us, seeking for suggestions and asking us how to be an influential through our blog post. I rather pick the first one, giving the businesses the tools to pick & choose low/medium/high quality bloggers that match their demographics. In order to sustain quality blog niche at the same time.